Rizk Ventures has built operating platforms in the real estate space across a number of sectors both in the United States as well as Latin America. Rizk Ventures has deep expertise in healthcare, specifically in the healthcare technology and SaaS space, as evidenced by the growth and sale of TractManager. Rizk Ventures executives have built, managed, and sold several technology platforms in the healthcare, real estate, and SaaS industries. 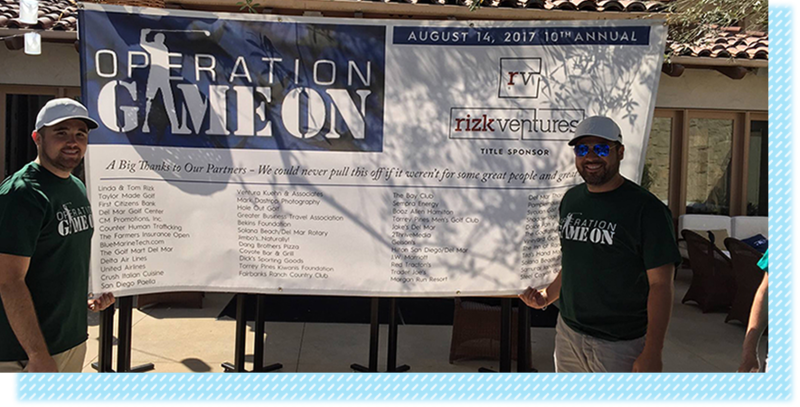 Over the past 20 years, Rizk Ventures has engaged in a variety of philanthropic efforts, spearheaded by our Co-Founder & CFO, Linda Rizk. These efforts span a wide variety of charities, with the primary causes we support being combat-injured U.S. veterans and troops, promoting youth education, and combating poverty. Rizk Ventures leadership has operated, owned, and sold past businesses, both public and private, in the real estate, healthcare, and technology industries stemming back to the 1990’s. Thomas Rizk led the family-owned real estate partnership, Cali Associates, through its highly successful IPO on the NYSE, as Cali Realty Corporation, making Mr. Rizk one of the youngest CEO’s of a publicly traded company. Mr. Rizk was responsible for establishing Cali Realty Corporation’s position as one of the fastest growing publicly traded REIT’s in the United States, producing some of the strongest financial returns in the REIT sector. Under his direction, the company’s portfolio grew from 12 initial properties at the time of the IPO to over 250 properties totaling over 28 million square feet. As Mack-Cali Realty Corporation, the company’s total market capitalization grew from $300 million to over $3.6 billion, completing over $3 billion in acquisitions while maintaining the company’s 50-year reputation for superior property management and tenant services. In 2000, Thomas Rizk founded TractManager Inc., the recognized leader in providing technology-based contract management solutions to healthcare organizations. Serving as the Chairman and CEO of TractManager until April 2013, Mr. Rizk led the company’s growth from a start-up operation to a company that serves over 25% of the hospitals in the United States. In 2010, TractManager expanded with the creating of TractManager International, an International arm of the business established by Geoffrey Rizk, Leo Nolan, and Klaus Lederer. Aimed towards expanding TractManager’s business into international markets, TractManager International focused on the Middle East and South America. In 2013, Thomas Rizk and Linda Rizk Co-Founded Rizk Ventures, an investment platform with a focus on operating and owning businesses in the Real Estate, Healthcare, and Technology sectors. One of the first major investments by Rizk Ventures was the purchase of 100+ office and flex properties across the United States to be managed and leased under the Workspace Property Trust (WSPT) brand. WSPT is just one of Rizk Ventures many forays back into the Real Estate industry. Other Rizk Ventures owned businesses such as GSRVC and Lenus Healthcare Properties own and lease select hospitals and healthcare buildings in Colombia. Rizk Ventures has also made significant investments in both healthcare and technology, using their experience and history to guide and scale businesses aimed at providing solutions in healthcare and other tech-influenced industries. These portfolio companies include RVH Solutions, Counter Human Trafficking Compliance Solutions, Classroom24-7, and more. Rizk Ventures is always on the look out for opportunity, even when that opportunity falls outside our traditional investment industries. These “special situation” investments give Rizk Ventures unique access into industries like Entertainment and Fashion and allows Rizk Ventures to leverage its resources and influence to maximize performance and financial return.